Ancient Egyptian Medicine was well respected in the Ancient world and Egyptian physicians were often sent to the courts of allies to offer treatments and cures to important political figures and members of royalty including the Kings of Persia. The knowledge of medicine, anatomy and the working of the human body has been attributed to the embalming procedures practised in Ancient Egypt. This idea, however, is incorrect as only priests were allowed to embalm the dead. It is believed that Egyptian Physicians and doctors obtained their skills from ancient knowledge and texts. Egyptian doctors specialised in treating different parts of the body and different ailments. Their were doctors who specialised in the head, eyes, ears, the stomach and fertility. As well as specialist doctors and physicians there were different levels of doctors in the medical profession. The most senior physician in Egypt was the chief medical officer. There were inspectors of physicians who validated the working practises of doctors. Egyptian doctors were known to have identified and documented hundreds of different illnesses. These covered every part of the body and included illnesses such as ulcers, migraine, dermatological problems, dental conditions, diseases of the ear, nose, throat and digestive system and gynaecological conditions. Papyrus manuals reveal that doctors had detailed knowledge of the digestion, nervous system and circulation. They were also skilled in various surgical techniques, medicine and injuries such as burns, breakages and various wounds and infections. The Egyptian doctors and physicians would therefore have accompanied soldiers on their various military campaigns. Also part of Egyptian medicine were magic, charms, and spells. An Egyptian physician was also a magician and practised various rituals which involved the incantation of different spells. The magic accompanied the remedies and were believed to be effective in ridding patients of evil spirits. The techniques employed in Ancient Egyptian medicine when dealing with wounds and injuries was documented in a papyrus first owned by a man named Edwin Smith. This has become known as the 'Edwin Smith Surgical Papyrus' and is believed to date back to 1600BC. The papyrus details a systematic approach to diagnosis describing 48 different types of fractures, dislocations and wounds. The Edwin Smith Surgical Papyrus also has a magical incantation against pestilence confirming the ritualised practises of Ancient Egyptian medicine and physicians. Egyptian doctors and physicians were very also advanced in their knowledge of herbal remedies. The plants and herbs used included garlic and juniper berries. They were known to prescribe castor oil as a laxative medicine. Pain was dulled with the use of powdered henbane and mandrake. During the period of the New Kingdom opium was known to have been imported from Cyprus as another form of painkiller. Physicians were aware of the difference between simple fractures and multiple complex fractures. Broken bones were set with splints made with strips of bark wrapped in plant fibre or linen. Egyptian doctors and physicians performed surgical operations including complicated procedures such as relieving pressure on the brain. Egyptian medicine and techniques owe something of their success to rigid procedures regarding cleanliness. A purification ritual involving washing was essential before treating a patient. The Edwin Smith Surgical Papyrus also details the medical examination process practised by the Ancient Egyptian doctors and physicians. Patients were questioned at some length regarding their well being including details of their bodily functions. A physician would examine a patient with gentleness and care using his senses of both smell and touch during the examination. 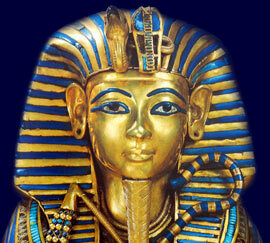 An Ancient Egyptian Physician would only treat a patient if he was confident of a reasonable cure.